I enjoyed the lessons on CodeCademy, but had reservations as to whether the lessons would be effective for teaching complete novices computer programming. 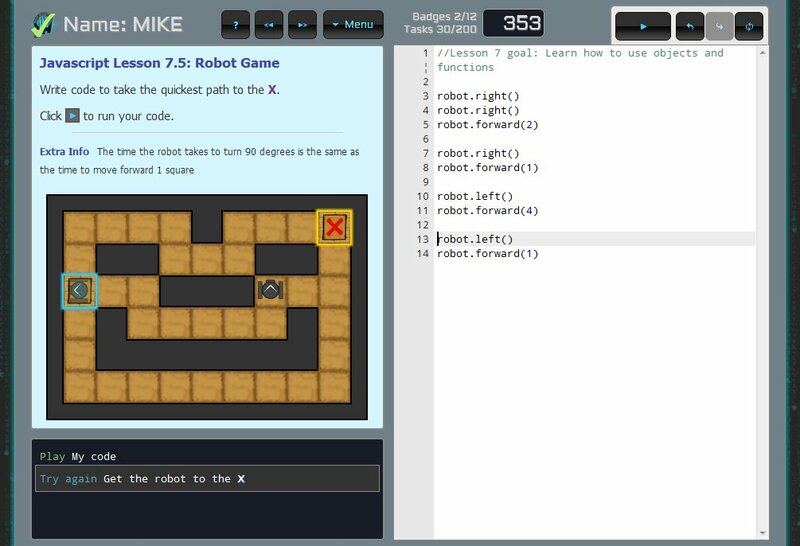 So I got 6 friends and family members (novice programmers) to spend 30-60 minutes going through 'Getting Started with Programming' on CodeCademy. 3 got bored, and a 3 thought it was OK. But all of them commented that they didn't really feel as thought they had learnt anything after completing the lessons. There has been a lot of buzz surrounding Codecademy.com since its launch in August 2011. Thousands of blog posts have been written, some positive, some negative. Anyone care to disagree? 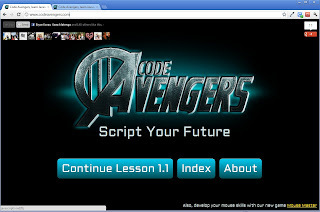 Try CodeAvengers.com now. If you have another online tutorial for any language, that you believe is the most effective, we would love to hear about it! Supportive of the initiative, but their name is Codecademy and not Code Academy. I am a co-founder of Code Academy (http://codeacademy.org) in Chicago, and we have created a physical program that teaches beginners how to build web applications. If you could correct your post title that would be great. Thanks! So sorry!! You probably noticed that I only made the mistake in the title... I have checked out your site too, so I am well aware of your programs. Sorry about the mistake! I have now had my courses being used in over 500 schools... some of whom have done both. I have also ran Summer Code Avengers Camps for high school students many of whom are complete novices, so have had a reasonable opportunity to put the courses to the test and make improvements. The feedback has been overwhelmingly positive, but there are still a long way to go before the courses are as good as I want them to be. I think CodeAcademy is pretty good love the layout, can be challenging sometimes, but good stuff. I was a bit discouraged to see that I have to pay for the "Part 2" courses, however I probably will pay it since it is a very reasonable price. I'm just wondering when you think the "Part 3" will be available, because I hate to finish and then not be able to build on my knowledge. Web app goes LIVE! But how do I get users?